Ömer Berkay Dağlı completed a PM research internship for the PM World Library while a Masters Candidate at Southampton Business School, University of Southampton, based in UK for the academic year 2017-2018. Previously, he had served as an Officer on Watch for over 30 months on board chemical tankers, based in different routes all round the world where he served Third and Second Officer. He completed his graduation in Marine Transportation Management dual diploma with honours from both Istanbul Technical University, Turkey and State University of New York Maritime College, USA in 2014. 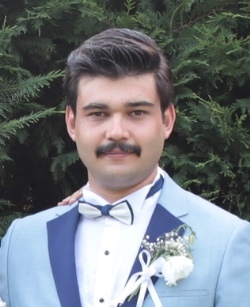 To learn more about Ömer Berkay Dağlı, click here. For information about the Project Management at Southampton Business School, click here. Share the post "Ömer Berkay Dağlı"